Are you looking for a concrete contractor with stellar concrete services including concrete driveways or stamped concrete driveways? If so, Everlast Blacktop is the concrete contractor you’re looking for! With over 25 years of experience, Everlast Blacktop provides quality construction, skill, and exceptional service. Many of our previous clients recommend us to friends and family because we are the concrete driveway contractor that has delivered on our word. Find out for yourself why our Cary customers rate us #1 in customer service and concrete construction. Cary, Illinois is in McHenry County in the northern part of the state. Cary has approximately 17,965 residents involved in creating positive community values and offers excellent recreational activities. Everlast Blacktop delivers quality in every aspect of what we do from start to finish as a concrete contractor. We offer years of know how when it comes to accomplishing the best in concrete driveways and stamped concrete driveways. 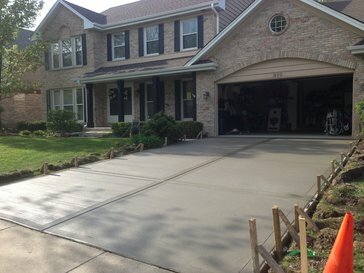 Everlast Blacktop is a leading and reliable concrete driveway contractor in the Chicago area. Everlast Blacktop excels as a concrete contractor because we are dedicated to being the best in the area. Sub-par will NEVER do, cutting corners will not happen when you call us because we want all our concrete driveways and stamped concrete driveways to stand the test of time. For that to happen Everlast Blacktop is the concrete driveway contractor who always uses quality materials and takes the time to do things right! If you want peace of mind and experience on your side call (630) 855-5572 for a quote.